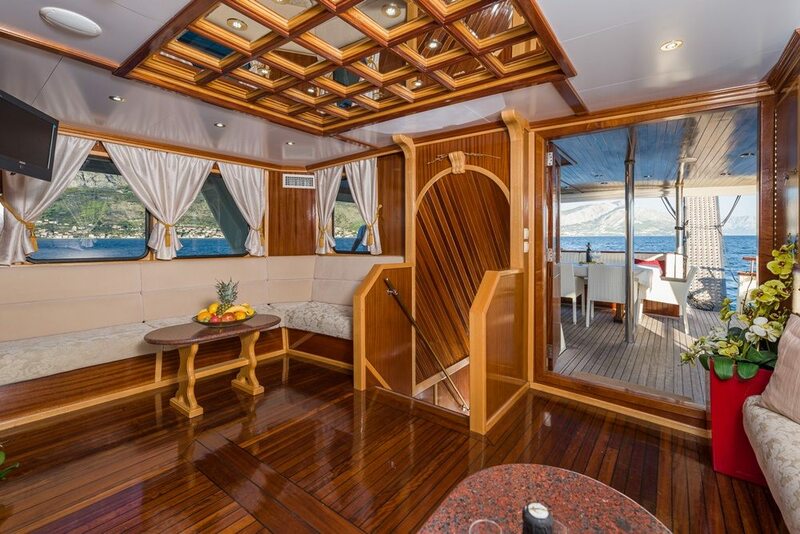 Korab is beautiful classic style displacement motor yacht, with a fly bridge and spacious aft and bow area, excellent service and simply amazing chef on board. 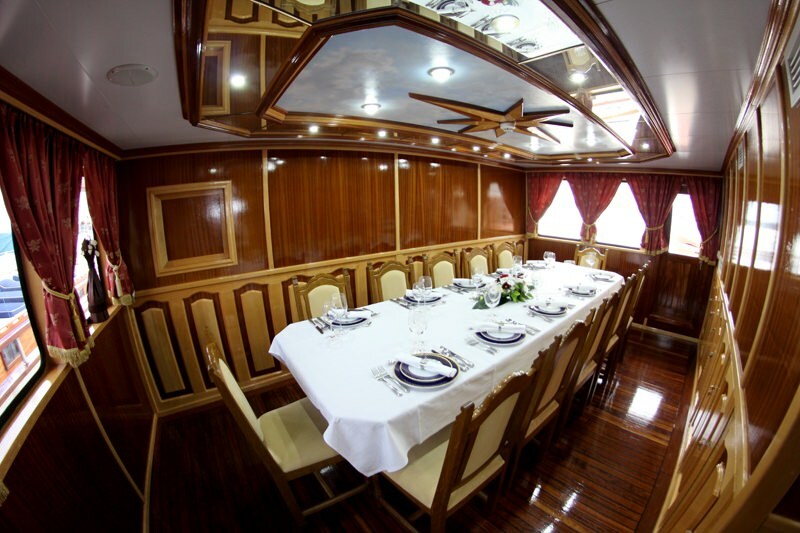 In addition to nice aft area with dining table, sun deck and swimming platform are also great addition to this yacht. 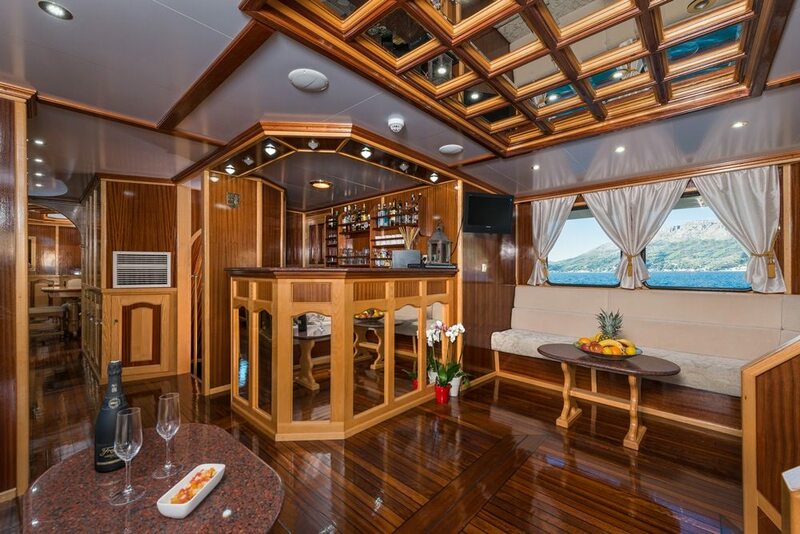 Her professional and attentive crew of 5 will pamper your clients in the best way: Captain Mate is one of the most experienced yacht masters on the Adriatic, who has worked on mega yachts as a captain. 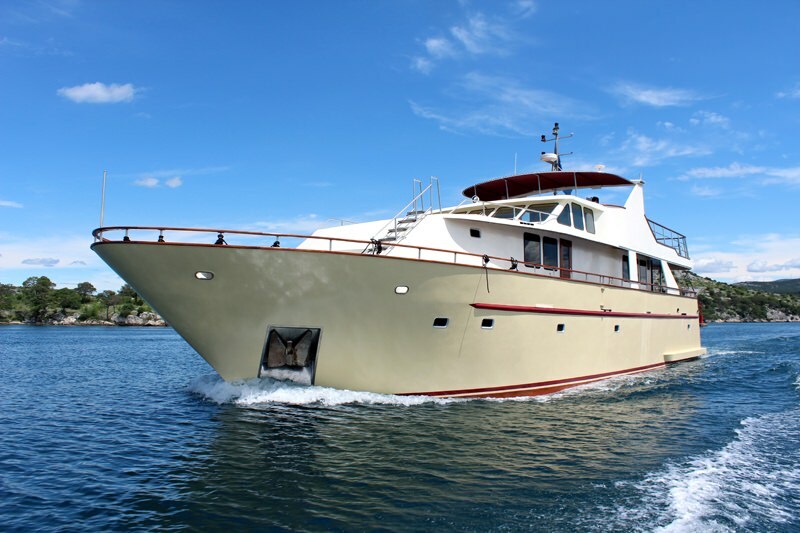 His knowledge of the area is immense, and he is really passionate to reveal hidden gems to his guests on board. Beside captain, there is steward/sailor and 3 ladies: chef, hostess and housekeeper. 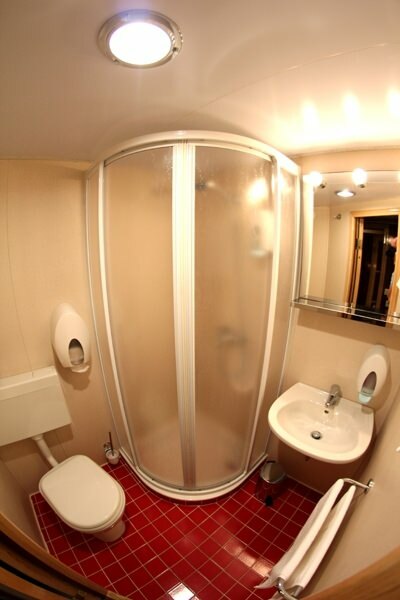 The yacht is designed to accommodate 12 passengers in 6 luxury cabins equipped with a bathroom. 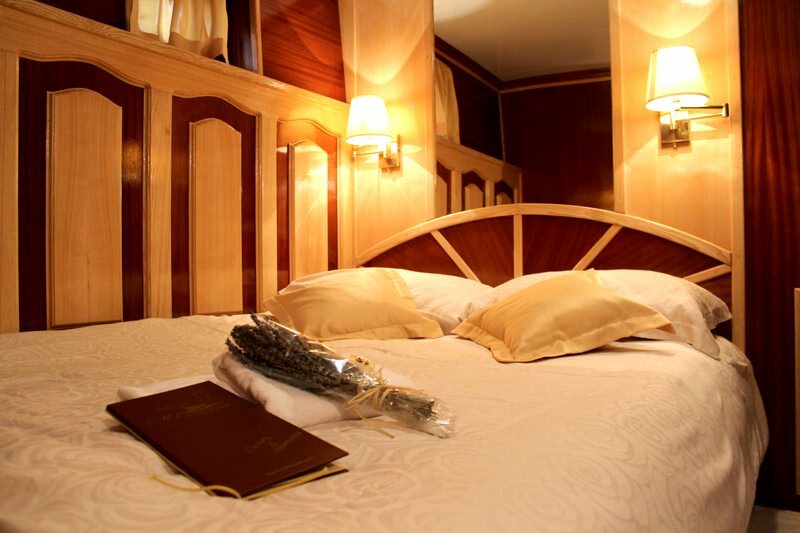 4 cabins have a double bed and two have two single beds. The cabins are air-conditioned and each has a window, wardrobe and desk. Wi-Fi Internet is available at all times. 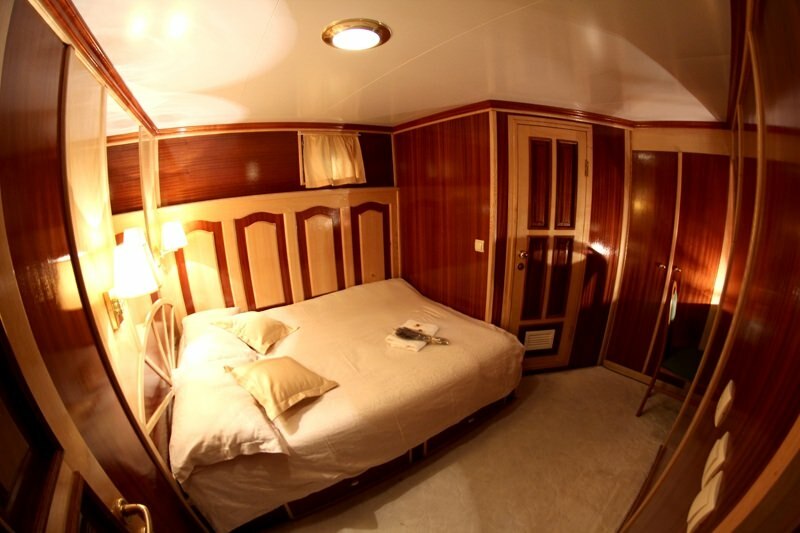 All cabins are spacious, with natural light, and are designed and decorated to provide you with a luxurious and pleasurable stay. The pleasant environment of the restaurant and bar, handmade from noble wood, create a special mood within a relaxing atmosphere. 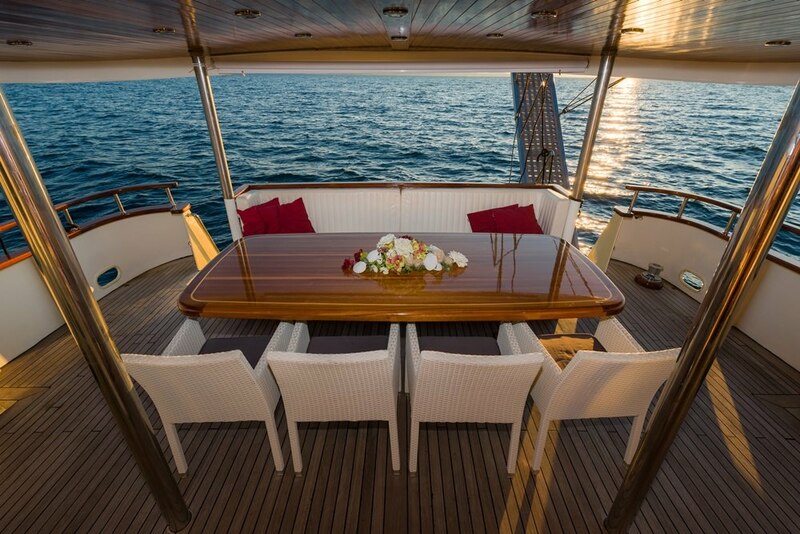 The sun deck is spacious, coated in teak, and provides guests a pleasurable stay and the enjoyment of sunbathing as well as a stay under the starry sky during sailing, visiting ports or hidden bays. 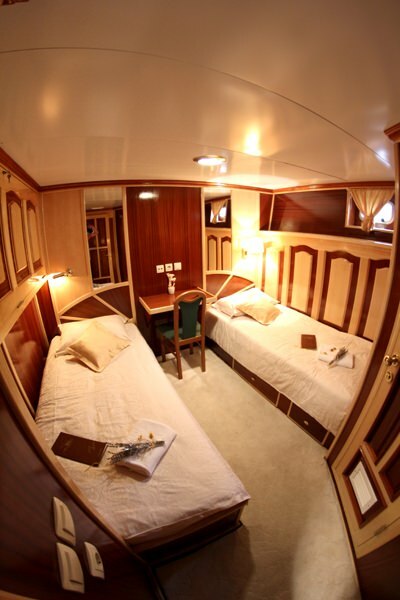 The quarter-deck is envisaged for stays in pleasant shades.